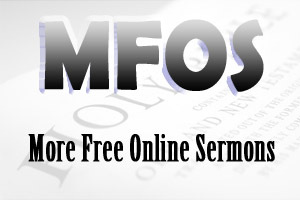 SERMONS THAT WORK FROM HEBREWS 12 is a sermon about Running the Race of Life Faithfully. This is an expository sermon from Hebrews 12. Sermons That Work From Hebrew 12:1-2 is an expository sermon that deals with the topic of Running the Race of Life Faithfully. Running the Race of Life Faithfully requires determination, inspiration, freedom and focus. INTRODUCTION: Often when we plan to do something, we set before us a course of action; and in following that course of action, we hope that it will be clear sailing. However, most times it never seems to happen that way. There is always something to create turbulence in our lives.When I thought more about this, it reminded me of the Christian life. In some ways, the Christian life is similar. We know that the starting point is our conversion and we know that the finishing point is heaven but we don’t always know what will take place in between. Yes, we would prefer clear sailing, but usually we all face turbulence at times. And it is these times that we need all the encouragement we can get. Over and over again, the Scriptures encourage us not to give up when we face turbulence in our lives but to hang in there...to remain focused...to follow the course set before us. Hebrews 12:1-2 is a passage of Scripture that brings great encouragement. The writer to the Hebrews encourages his readers to run the race of life faithfully...to follow the course set out before them. After all, we need all the help we can get because the Christian life is not an easy life. It's not an easy course to follow. In the 1992 Summer Olympics, British runner Derek Redmond was in the semi-finals of the 400 meters. As Derek was competing in the race, he tore a hamstring and fell to the track. However, he struggled to his feet and began to hobble, determined to complete the race. His father ran from the stands to help him off the track, but the athlete refused to quit. He leaned on his father, and the two limped to the finish line together, to a deafening applause. That’s the determination that the writer to the Hebrews encourages us to have in our Christian lives. A determination not to give up regardless of the situations we face. However, this determination is Christ inspired. As we commit our situations to the Lord, I believe the Lord encourages us to go on—inspires us to go on. The writer here calls his readers to be inspired by those who have gone before us. In other words, if we are aware of what they have done and overcome in their lives, then this will be a source of inspiration for us when we face difficult times. How many times have we been blessed by reading a biography or listening to a testimony? If you are struggling in your Christian life, read the stories of the Old Testament. Find a biography that will encourage you. We can learn so much from others. Look at verse 1 again, “Let us lay aside every weight, and the sin which so easily ensnares us” (Hebrews 12:1b). It seems that the writer here is suggesting that two items will impede our desire to run the race of life faithfully. Look at verse 2, “Looking unto Jesus, the author and finisher of our faith” (Hebrews 12:2). Why should we look unto Jesus? He is the source and strength of our faith and He is also an example for us to follow. May we all be encouraged to run the race of life faithfully by having a Christ-like determination, by being inspired by those who have gone before us, by laying aside everything that hinders and by looking unto Jesus.